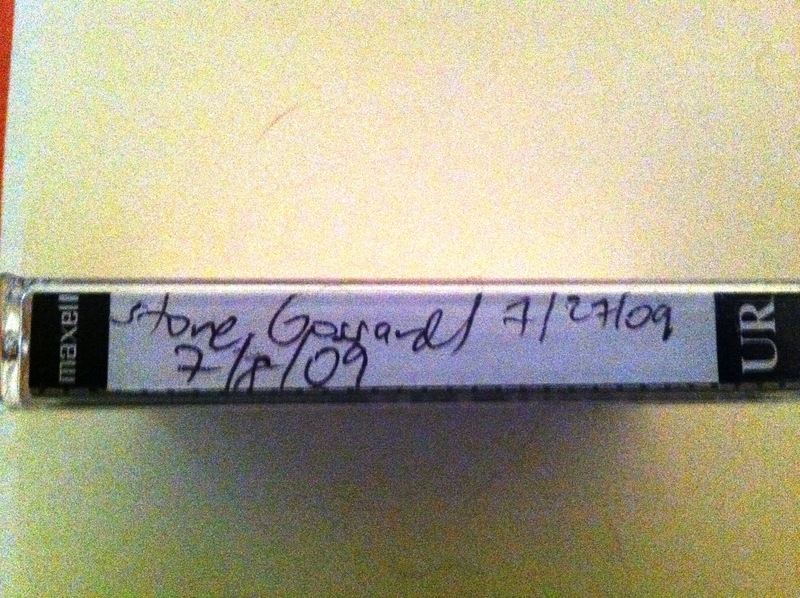 1) Play the tape into this crappy recording software in 35 minute segments. 2) Create a “mono” file of these segments into cpr format or something. 3) Use some freeware to convert the cpr files into wav format. 4) Because wav format creates enormous files, use some more freeware to compress them into mp3 format. 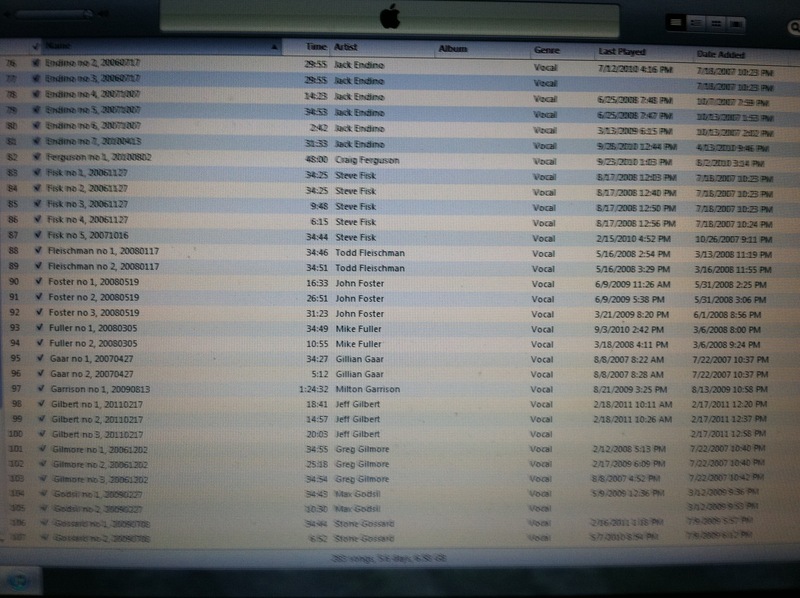 The photo below shows the files in itunes…almost 6 days of interviews made it in there.